Macao Imperial Tea: Is It Worth The Hype? Our honest reviews of Macao Imperial Tea! We’re back with our honest reviews, and this time, we’ll be sharing our thoughts about Macao Imperial Tea. Hailing all the way from Macau (as the name suggests), this famous tea spot arrived in the Philippines around mid-2017. The first store is located in good ol’ Banawe in Quezon City. Globally, it has hundreds of branches in Macau, China, Vietnam, and even the U.S. In the Philippines, Macao Imperial Tea branches are popping up everywhere. (In fact, the drinks we bought for this review came from their new store in SM The Block!) Now, let’s get to ~*spilling*~ the real tea. 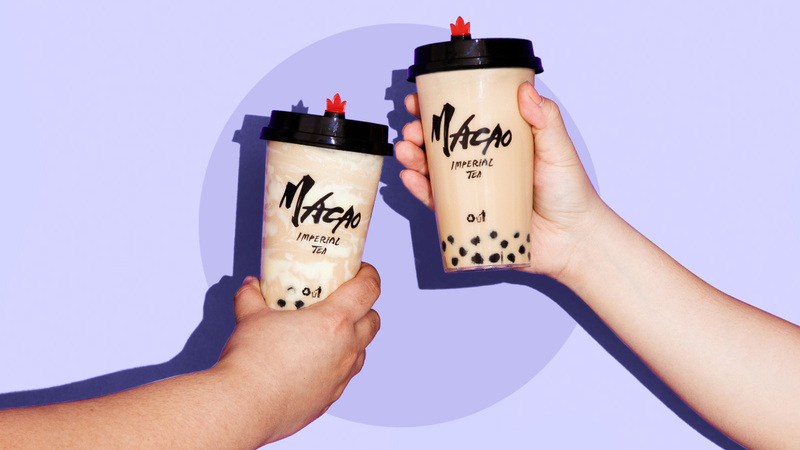 Ysa: I first heard about Macao Imperial Tea from my officemate, another milk tea fan. 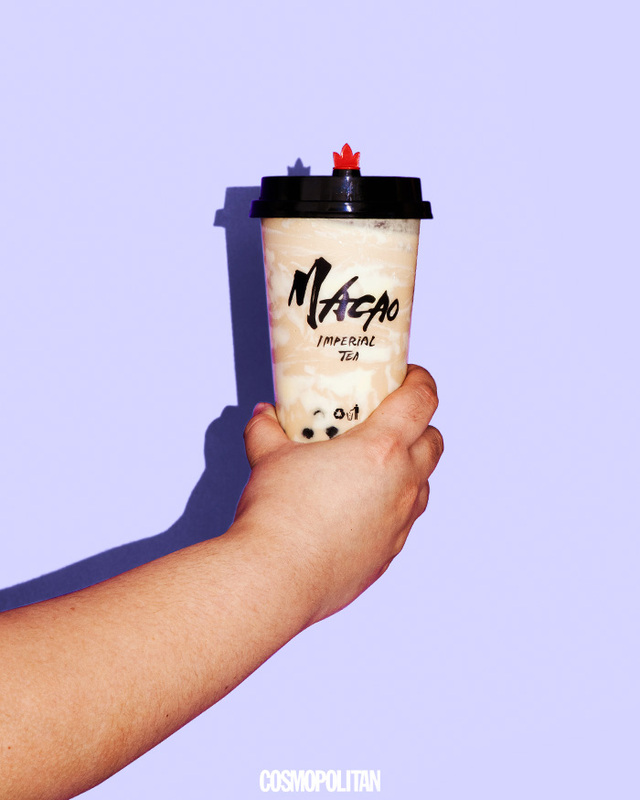 If you’ve read our other Is It Worth The Hype milk tea reviews (see: here and here), then you must know that I am not a fan of standing in line. So when I first tried Macao Imperial Tea, we ordered it via a delivery service. The only problem was we didn’t know that their Original Milk Tea didn’t come with pearls, lol, so it wasn’t a *complete* experience for me. And because I believe in the saying that if you want it done right, you gotta do it yourself, I went to the brand new Macao Imperial Tea place in SM The Block right when the mall opened (yes, to avoid the line). I ordered two types of drinks—Black Pearl Milk Tea and Cheesecake and Pearl Milk Tea—but for this review, only tested the latter. The pros: The packaging deserves an A+! The absolute worst thing about ordering milk tea is having to travel with it because the packaging is usually so flimsy. I didn’t have to worry about that with my Macao Imperial orders because those drinks were super secure. Another pro is their pearls! I’m really picky when it comes to pearls; they can really affect my drinking experience. It’s so easy to tell when the pearls are old, but Macao Imperial’s are in a league of their own. That said, while I enjoyed the drink, I found it to be underwhelming. The flavor was…there, but it’s forgettable. I thought I’d notice a difference—in taste, consistency, anything—having picked a variation that had cheesecake in it, but I honestly just finished the drink because I didn’t want it to go to waste. I’m open to trying their other flavors, but I can’t imagine craving this drink in the future. Andie: I absolutely ~love~ milk tea. I’m extremely picky when it comes to the flavor balance (not too sweet, but the tea flavor can’t be overpowering either), so finding the *perfect* milk tea has always been a fun challenge. 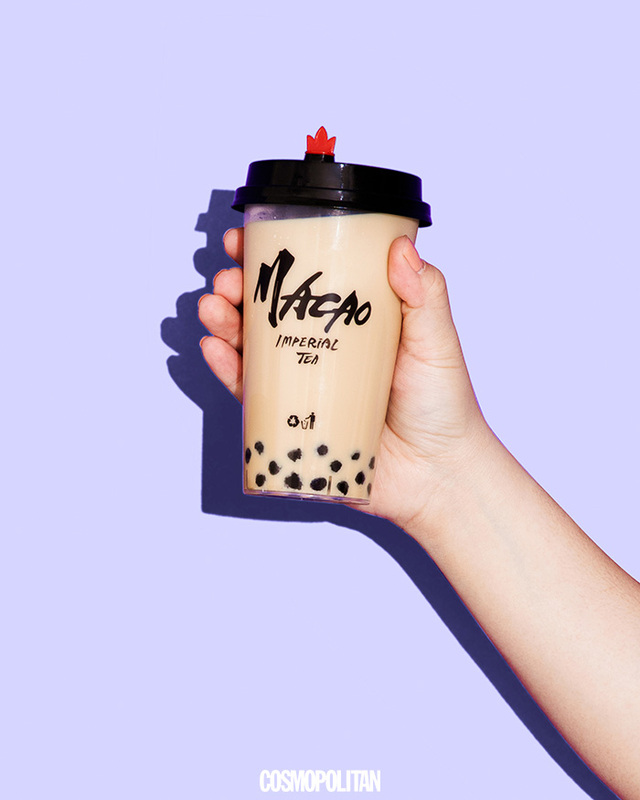 I was excited to try the Macao Milk Tea because their Cream Cheese drinks looked interesting, but to have a baseline comparison with other brands, I stuck to the Black Pearl Milk Tea. I think the best thing about the drink was the chewiness of the pearls. My go-to sinker is always pearls, so this was very important to me—and I’d rather go without if they only offer the smaller, taho-sized pearls. I also liked the little crown stopper; it was perfect to remove for when you wanted just a sip of tea. In terms of the actual drink, however, the flavor of the tea was a bit too strong for me. I didn’t really taste the milk or the sweetness. Would I order this again? Yes, it’s pretty good for when you’re craving milk tea. But I’d rather spend on a large Gong Cha Milk Tea with pearls—it’s less than P100 and hits the spot when it comes to sweet-but-still-tea balance. 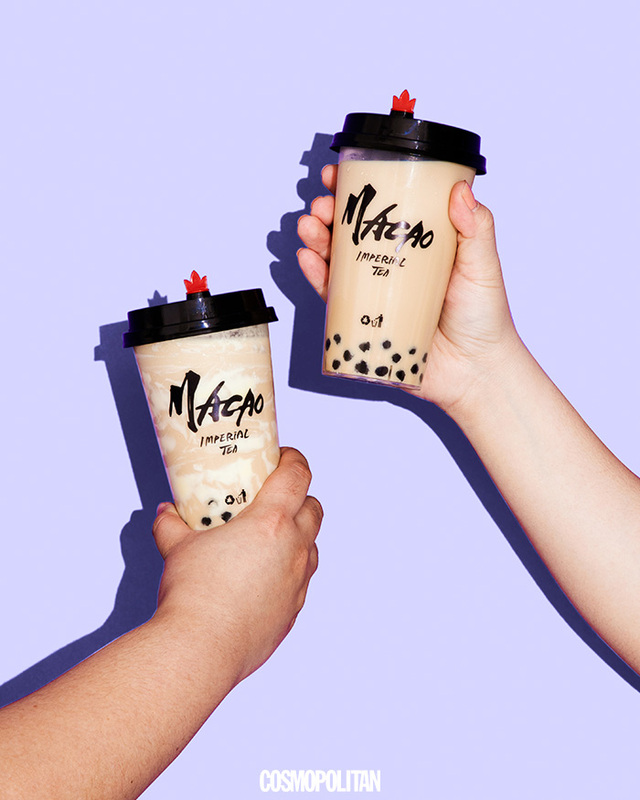 Mixi: My milk tea-loving taste buds tried the Cheesecake and Pearl Milk Tea. I usually think cheesecake-flavored food is too thick or sweet sweet, but surprisingly, this drink was just right. When it comes to the sweetness, I thought I would get umay after the first sip because of the cheese, but it wasn’t intense naman. I would also like to commend the pearls. The pearls felt kind of premium because it didn’t stick to my teeth, haha! Tip: Let the pearls soak up more of the drink. As for the serving, it wasn’t enough for me. Priced at P120, I was shocked that it was smaller than my usual regular-sized drinks at other milk tea places. Still, I’ve always had my go-to milk tea brand, but after trying Macao Imperial Tea, I’m happy I found another option that I actually loved! Lily: I like my milk tea sweet. Everyone knows this. I'm THAT friend who orders drinks with a 100 percent sugar level, and I'm not ashamed of it! It was my first time to try Macao Imperial’s Black Pearl Milk Tea and after the first sip... I felt weird. It tasted nothing at all like my usual orders and for some reason, I felt like I was tasting legit milk tea for the first time. I also felt like this drink was healthier than others. I liked that it didn’t taste TOO sweet and that it actually tasted like tea. I think I’ve gotten so used to my go-to milk tea flavor, Wintermelon, which is really milky and sweet, so this was a welcome change for me (*Reminds self to try more things outside my comfort zone*)! The tapioca pearls were firm but chewy. The verdict: Do I regret trying something new? Nah. Would I try Macao Imperial again? Yes, of course! It made me want to try the brand’s other flavors, too. I still prefer sweet and creamy Wintermelon when it comes to milk tea, but I wouldn’t mind switching it up every now and then. P.S. I really liked the packaging, especially the little red crown on top. T'was super cute! TL; DR: Worth the hype and willing to explore Macao Imperial Tea’s menu! Follow Ysa, Andie, Mixi, and Lily on Instagram.